Today is the day for all to play! Vocaroo | Online voice recorder. 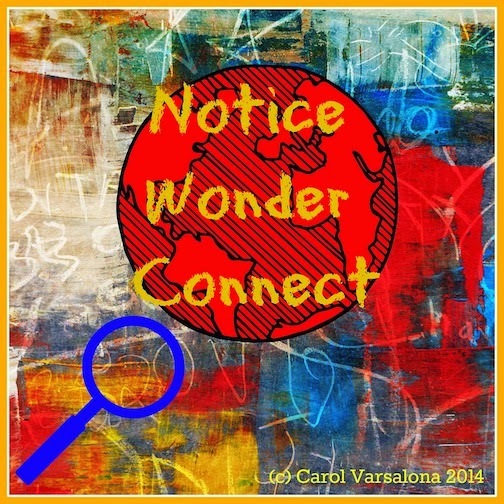 Lastly, please travel to Linda Baie's site for your Poetry Friday delight where "fearful rhyming reigns today," as Linda says. 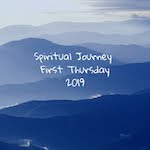 All week I have been connecting with colleagues and family, whether it be face-to-face or virtually, so it seemed odd that I missed Holly Mueller’s tweet about Spiritual Journey Thursday. Backtracking my steps, I found the tweet announcing this week's topic to be community. Excitedly, I sat down at the computer composing this post. I felt confident that this week's activity validated my desire to connect with others as a commitment to life, learning, and community. 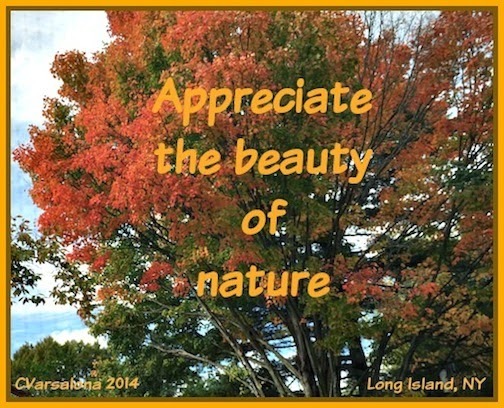 In the midst of the normal day-to-day living, we sometimes forget that community brings us to a conscious level of appreciating life; lifts us up; applauds our successes; redirects our missteps. Where would we be without community? Proverbs 15:22 says, "Without counsel plans fail, but with many advisers they succeed." This validates the importance of community as a close support group to living a meaningful life. YouTube notes the song, "I Will Listen" sung by Twila Paris, as "a popular Christian gospel song good for community singing, singing together at gatherings, fellowship, worship, or parties." 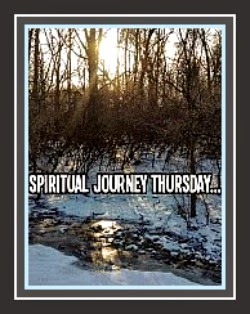 You can follow Holly Mueller and the writers of Spiritual Journey Thursday here. I value the Spiritual Journey Thursday community who supports, lifts, and brings joy. Read how the word community resonates with each member. I would like to showcase a quote from Holly's blog introducing the topic of community for this line holds truth: "Becaue it is in HIS nature to abide in community, it is also in ours. Isn't that amazing?!" Halloween is one of my favorite holidays for children. 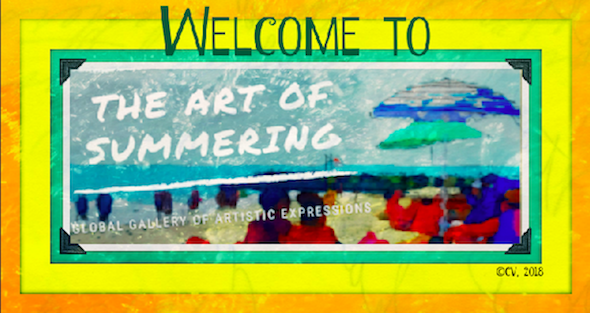 It brings out the best of the creative spirit, evokes a sense of merriment, and allows for sheer enjoyment with others. For years I transformed my children's play house (a miniature version of our house) into a mini-Halloween house for local fun. Then, when I transferred to an elementary building I created a Harvest House atmosphere in my reading room for a week-long, school wide read aloud event. The room was decorated for the season, complete with a spooky walk down to my room, and an amazing collection of seasonal picture books. 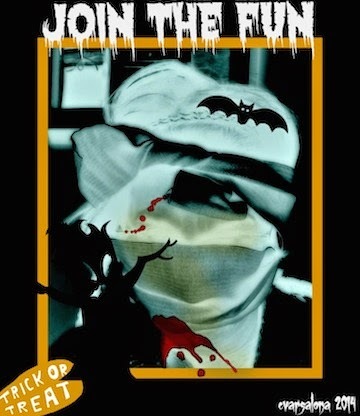 Naturally, when I saw that Susanna Leonard Hill was hosting her 4th Annual Halloweensie Contest I had to enter. 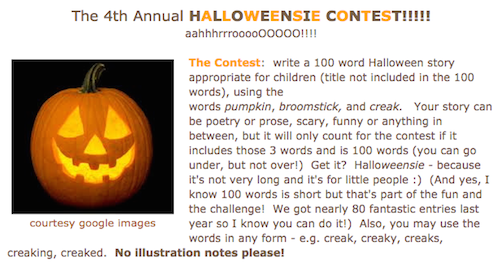 The contest information seen below was posted on Susanna's blog, Something for Everyone in the World of Children's Books, for October 27, 2014. 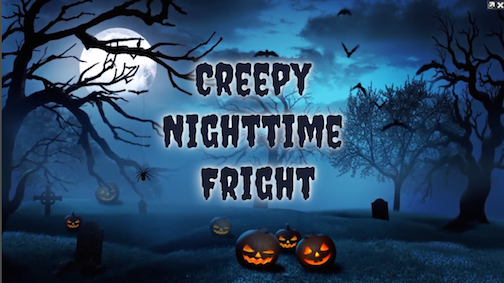 Below is my 100 word Halloween story for children in poetic form. Toward my black, ghost-eye tree? “Not me!” shouts Molly, Sue, Pete. among goblins, pumpkins, cat that leaps. When out of darkness, pops a fright. with baskets of treats for all to see. Who-o-o dares to come to me? Although there are no illustrations allowed for the contest I thought it would be fun for my readers to see how I would integrate technology into a presentation. I turned to emaze as the tool to make my story more appealing for children who would like to read along. You can view the online version here. 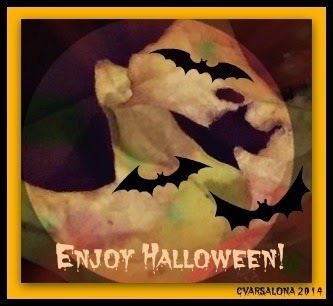 Since it is Slice of Tuesday I am hoping that the Slice of Life readership will appreciate my slice today as they prepare for Halloween and might like to submit an entry for the Halloweensie Contest. 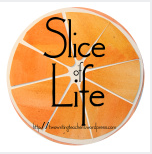 If you go here you will find many other writers who share their slice of life each Tuesday.